Watch the debut episode of Welcome to Riverdale: The Official Archie Comics YouTube Show! Download the first episode of The Official Archie Comics Podcast! 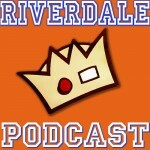 Archie Comics Announces The Riverdale Podcast – The Official Archie Comics Podcast! 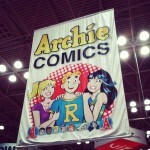 Archie Comics was all over New York Comic Con 2014 with breaking news, creator signings, panels, and more. Take a look through the gallery below to recap all of the excitement from this year’s premiere pop-culture event!